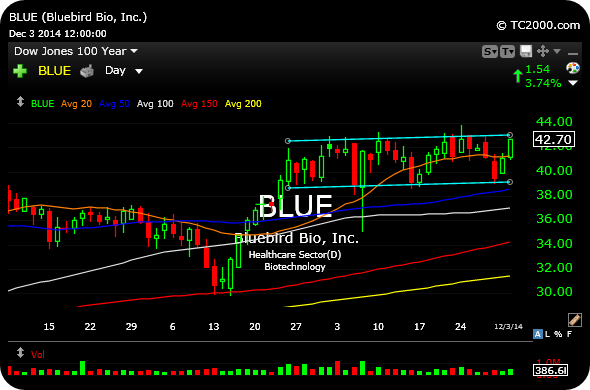 In addition to ACHN, let's keep BLUE on watch, seen on the first daily chart below, as one of the better-looking biotechnology technical setups for a long idea over $43. Both ACHN and BLUE have been basing nicely of late within the context of uptrends. 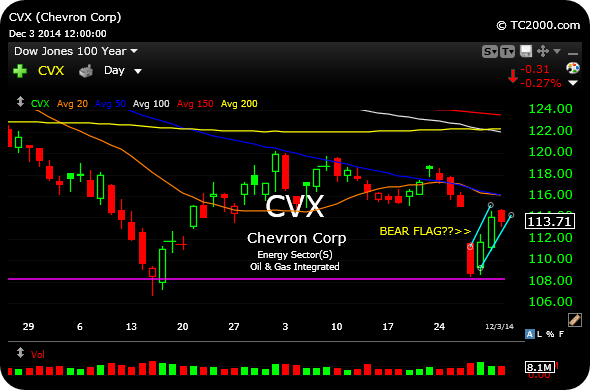 And on the short side, I still have my eye on the XLE, energy sector ETF, especially if the likes of CVX, seen on the second daily chart, roll back over after brief bounces. ERY is my vehicle of choice to leverage the short side.